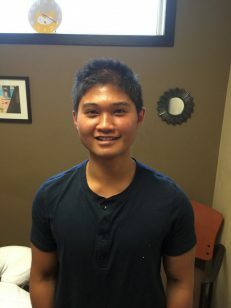 Recent Graduate from the 2 year Massage therapy program from Robertson College in 2016. The course provided understanding of the human anatomy and the ways to help identify root causes of pain, dysfunction and problems that may be holding you back. Living healthy and without any pain can become stressful. Your body acts as a vessel to navigate you through the heavy demands that life brings. The constant challenges of keeping up with life brings a load of physical and mental toll on our body. My main goal of treatment is to help with these stresses and pain to return you back optimal function so you can focus on living your life. Treatments are made based off assessment of your soft tissue restrictions, movements in your joints and overall degree of motion over them. I utilize various manual therapy techniques and mobilization such as active release techniques, myofascial release, deep tissue massage and joint mobilization to effectively help you manage the pain, stress and tension that arise through your daily activities.